Like everyone else in Westview, Wally has no empathy. He could take his jacket off (since he’s wearing a T-shirt underneath it) and ask Adeela if that helps in making her more comfortable so they can work on the project together. But that would require him removing his “I am a veteran who has suffered” clothing and since it’s all about him, that thought will never cross his mind. Well now! Could this be Wally’s big breakthrough? He’s finally ready to relinquish his good old M-65 jacket. Keep in mind it’s only been nine years since he popped up on Becky’s doorstep. Long enough for the jacket to fade from olive drab to the battleship gray we see today. If Walleye ditches the field jacket (M-65 BTW is what I was issued when Fungy and the gang where high schoolers in a gag-a-day strip) How will they know at IHoP for his free breakfast on Sunday? Or his free Veterans Day turkey sub, fountain beverage and car wash at Sheetz? “We’re not so different, you and I.” Seriously, this is a deeply profound and important insight…or at least, it would be if this idea hadn’t been used so many times over several centuries that a “serious” author would recognize it as a cliche too old to employ in a dramatic setting. Hell, even the “muslims and soldiers get along” thing is now a cliche. Like, even in this strip, what with Khahn and all. This is what Batiuk thinks is going to start filling his dusty, lonely awards shelf. I can only shake my head. Adeela keeps her hijab, Lefty keeps her pinned up sleeve, Les keeps his punchable countenance, Funky keeps getting defecated on, TB keeps his grating sense of self-satisfaction. But Wally loses his jacket. What a touching story. Oh yeah, Wardrobe-Related PSTD. Apparently that’s the mildest kind. 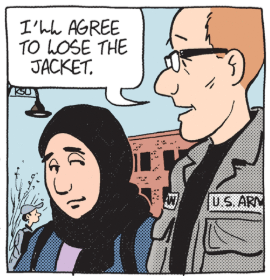 So Wally will at long last remove his stupid army jacket while the personality-free Adeela will do nothing…problem solved! A person gets paid…real actual no-foolin’ US currency, mind you…to “write” this nonsense even as regular Joes and Janes like us have to work for a living. It’s not fair, I tell ya. I really should have drawn more in high school. Meanwhile on Crankshaft, he’s giving it to his mom’s bridge club for agreeing that funny books are gaudy trash and that he should do something constructive with his life. When one looks at this trite pile of slop, one ends up agreeing with those long-gone ladies. Lilian is such a b!tch, I wonder why anyone wants to be around her. For once I am on Ed’s side! I feel like I ought to say something here, but like TB – I got nothing. Hey, did I miss anything over the past week? Nope? OK, then I’ll get back to ignoring this tripe. How many weeks has it been since this godforsaken strip even attempted a punchline? Ugh. What a way for his year or two ‘writing’ in advance can develop. 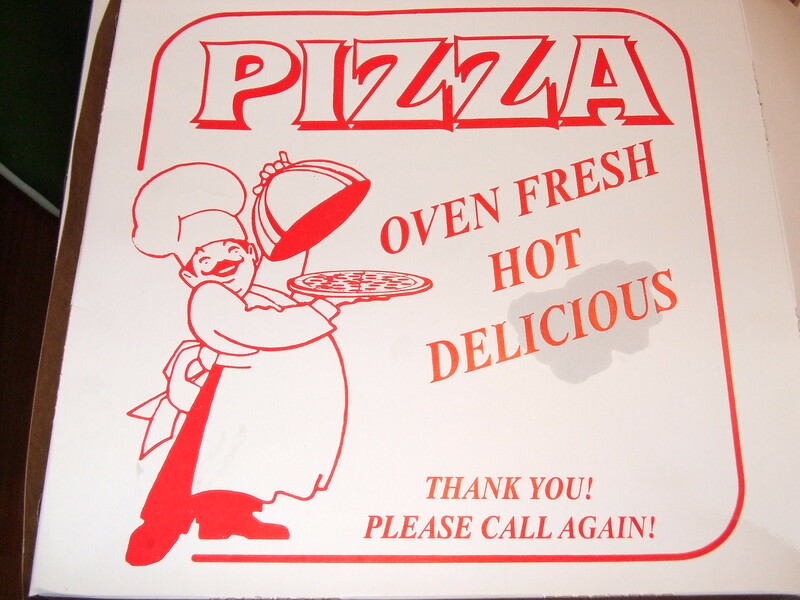 I wish I could have the satisfaction that he at least feels a bit of heartburn over his craven pursuit of… something. That he can’t is why he does.